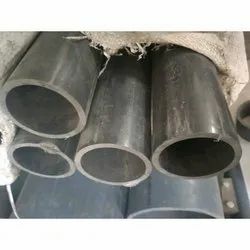 Nominal Size: 2'', 3/4", 3'', 1'', 1/2"
Nominal Size: 1/2", 1'', 3/4"
These pipes are most ideal for carrying drinking water as they do not subject to contamination. Being immune to chemical, electrolytic and galvanic action, these pipes are free from corrosion. Pipes & Fittings are manufactured from High Impact unplasticised polyvinyl chloride (UFA/C) grade material that is capable of withstanding the most rigorous on-site conditions and exceeding the most stringent requirements of Indian & International standards. With our experienced professionals, we are engaged in offering a wide range of UPVC Pipes to our most valued clients. 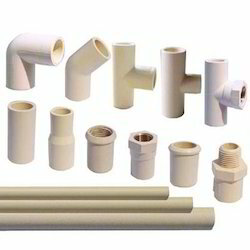 We are reckoned as a prime UPVC Pipes Trader located at Raipur, India. The UPVC Pipes offered by us are made using high grade material and we procure them from reliable vendors. In order to suit different requirements of the clients, we provide UPVC Pipes in various dimensions.